Owners claim defective electronic throttle control systems cause unintended acceleration events. 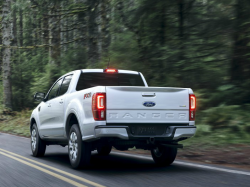 April 16, 2019 — A Ford unintended acceleration class action lawsuit is finally over after vehicle owners failed to provide evidence of defective electronic throttle control systems. A group of plaintiffs that include consumers and corporations filed the lawsuit alleging multiple 2002-2010 Ford, Lincoln and Mercury vehicles are at risk of unintended acceleration events. The class action, filed in 2013, is a consolidated action comprised of three lawsuits that allege Ford should have equipped the vehicles with failsafe "brake over accelerator" systems to prevent unintended acceleration. According to the plaintiffs, Ford violated the Magnuson-Moss Warranty Act, breached implied and express warranties, and violated unjust enrichment laws and state consumer protection statutes. Certain owners and lessees claim their vehicles suffered unintended acceleration incidents, although there are no claims of property damage or personal injuries. The plaintiffs say their vehicles are worth much less than their purchase or lease prices and customers deserve damages to recover the diminished values of the vehicles. Ford filed motions to dismiss all three actions which the district court granted in part and denied in part. 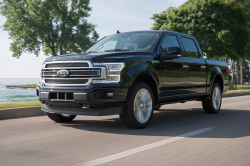 From there the remaining plaintiffs filed the consolidated class action lawsuit, however, Ford said the plaintiff's expert witnesses should be excluded and summary judgment granted. A motion for summary judgment is when a defendant, in this case Ford, claims the judge should rule in favor of the defendant without going to trial. 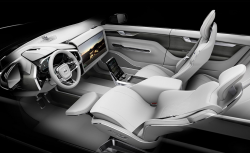 The district court judge agreed to grant partial summary judgment to Ford on the warranty and unjust enrichment claims because unintended acceleration events can be caused by many factors unrelated to electronic throttle control systems. According to the judge, the plaintiffs failed to provide experts who could testify the incidents were "proximately caused by the alleged defect rather than some other known cause for such events." The plaintiffs appealed from the U.S. District Court for the Southern District of West Virginia to the U.S. Court of Appeals for the Fourth Circuit which affirmed the lower court's summary judgment ruling.